A DRAMATIC police chase is unfolding in Melbourne's southeast after a man allegedly assaulted his pregnant partner and a 10-month-old child before taking the toddler and threatening harm. Victoria Police say the man, who has not been identified, assaulted the pair in the bayside suburb of Mentone shortly after midday. 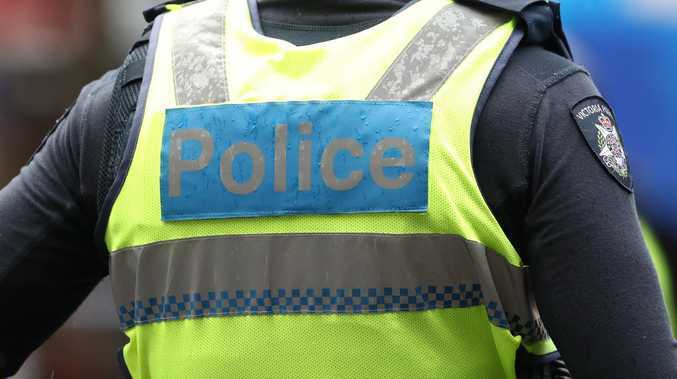 It is believed he then made threats to harm himself and the child before fleeing in an aqua or green coloured Toyota Yaris in the direction of the Monash Freeway. Police gave chase before losing sight of the vehicle near EastLink, approximately 15km from where the alleged assault took place. The vehicle, which has a registration number WJQ334, was last seen about 1pm. Police issued a statement shortly before 2pm urging the public to be on the lookout for the pair but not to approach. Anyone with information is urged to contact triple-0 immediately.